Seen edge-on, observations of NGC 4945 suggest that this hive of stars is a spiral galaxy much like our own Milky Way, with swirling, luminous arms and a bar-shaped centre. Sites of active star formation, known as HII regions, are seen prominently in the image, appearing bright pink. These resemblances aside, NGC 4945 has a brighter centre that likely harbours a supermassive black hole, which is devouring reams of matter and blasting energy out into space. 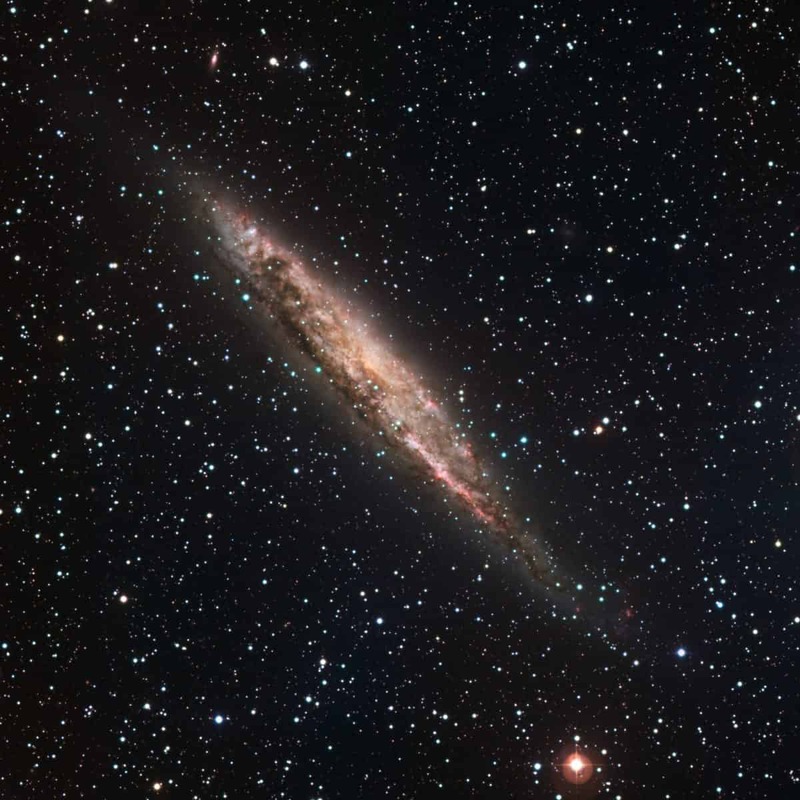 NGC 4945 is about 13 million light-years away in the constellation of Centaurus (the Centaur) and is beautifully revealed in this image taken with data in five bands (B, V, R, H-alpha and S II) with the 2.2-metre MPG/ESO telescope at La Silla. The field of view is 30 x 30 arcminutes. North is up, East is to the left.